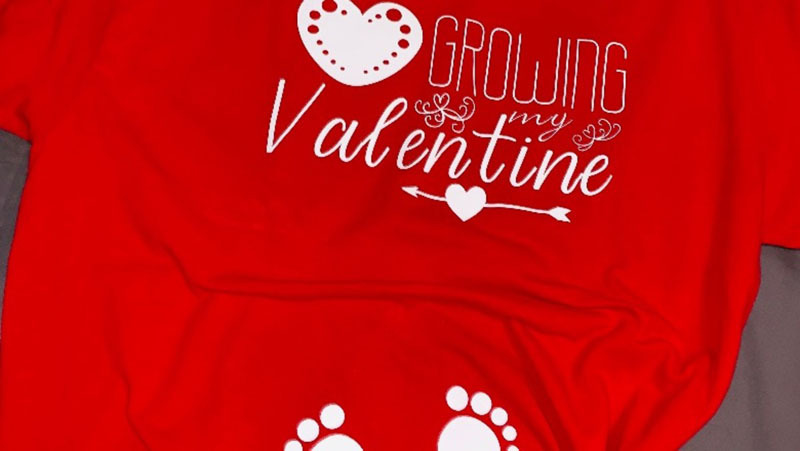 If you're looking for new shirts to wear for Valentine's Day, our Cricut Community members are here to help. Check out these fun designs that have been popping up. This shirt by Misty would be perfect for any little girl. 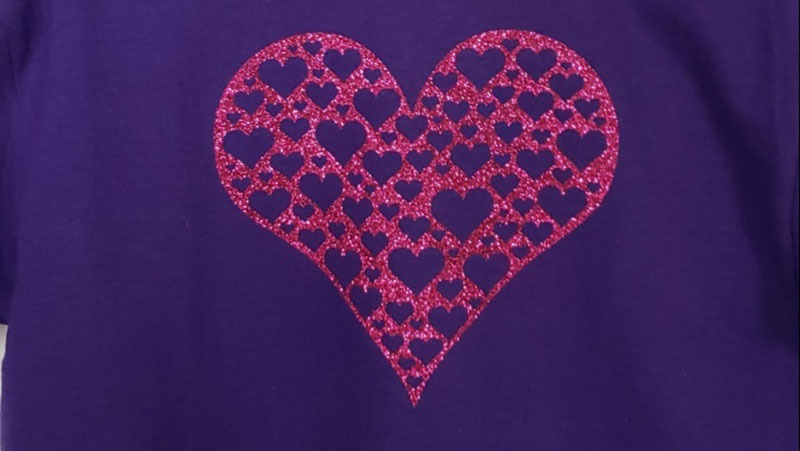 I would choose to make it with purple glitter for my own daughter since it's her favorite color; I love how easy it is to customize shirts to each person. 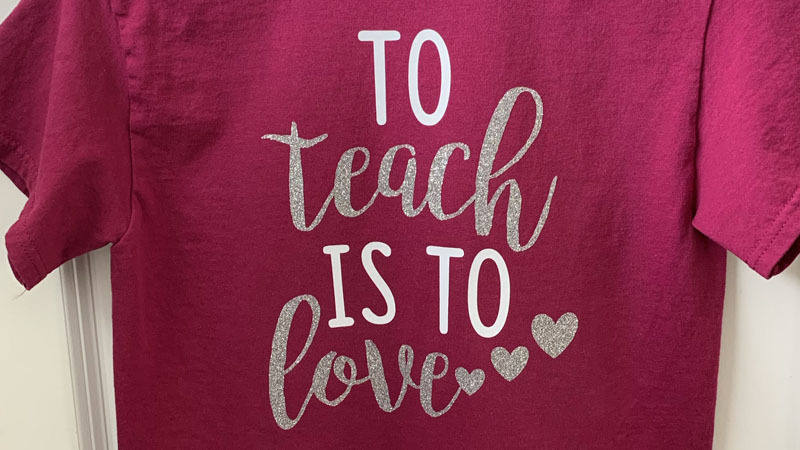 Are you a teacher who's looking for the perfect shirt to wear on Valentine's Day? Emma has you covered. Of course, this shirt would be apt throughout the rest of the year, too. 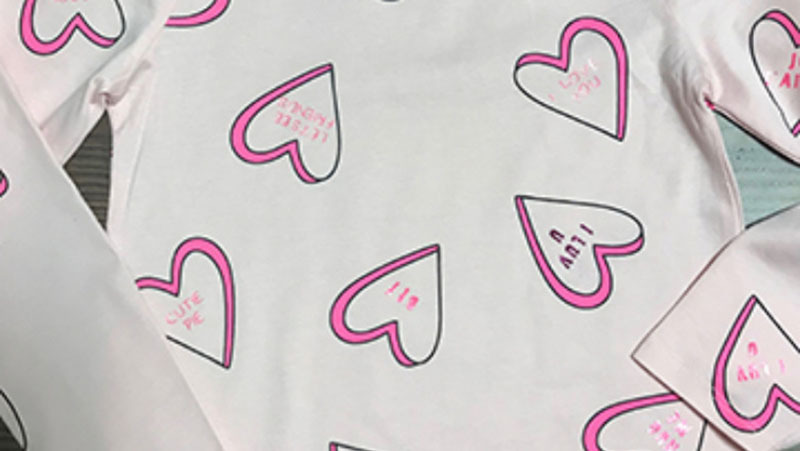 I have made my own version of conversation hearts before with frosted cookies, but this cute shirt by Beth would definitely be a better option since I could wear it many times. 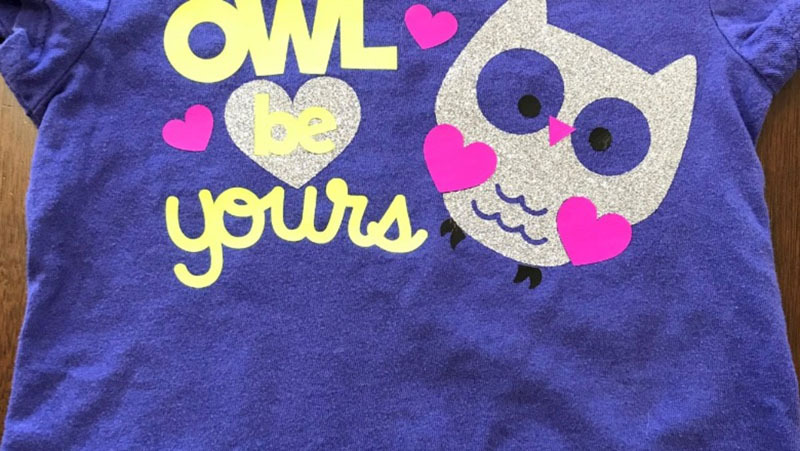 For the person who loves puns, Tricia designed an adorable shirt you should make. As a rule, we don't recommend layering anything on top of glitter iron-on, so she's got you covered with everything sliced out so that you avoid this, but still have the look of glitter as the base. 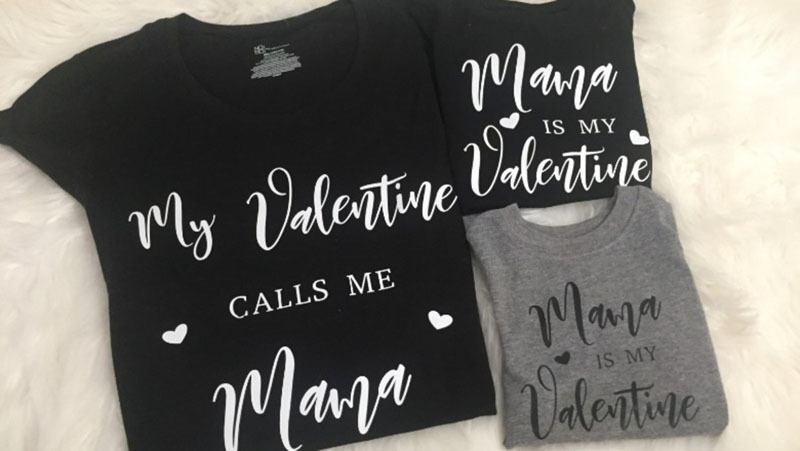 Looking for matching shirts for you and your kids? You can use these designs by Kimberly to get you coordinated in no time. In addition to the above fun collection shirts about Mama, don't forget to make this one by Bailie about Daddy. 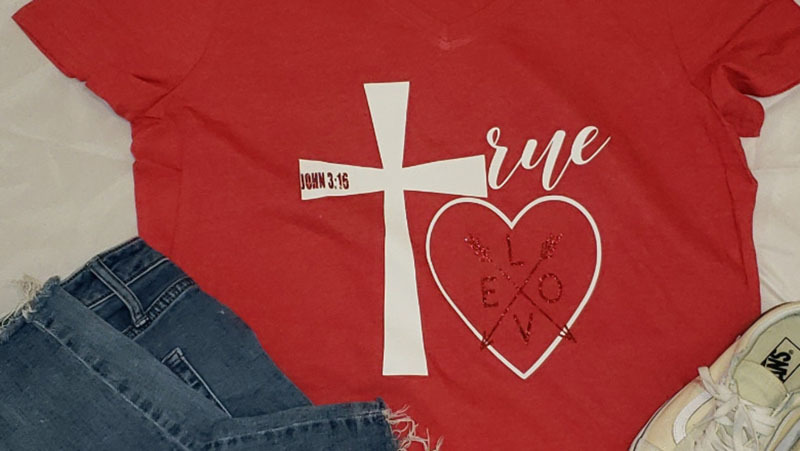 If you want to honor the greatest example of true love, you can create a shirt using this design by Freda. Oh, how clever Catherine is! 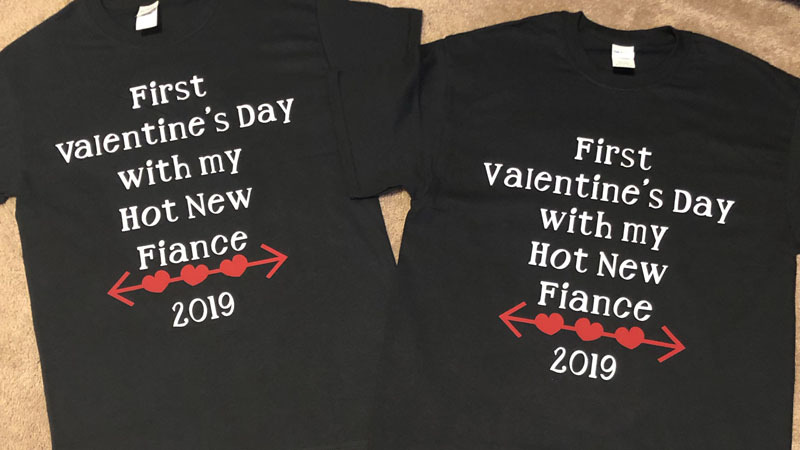 She made two shirts for Valentine's Day from this one design cut. 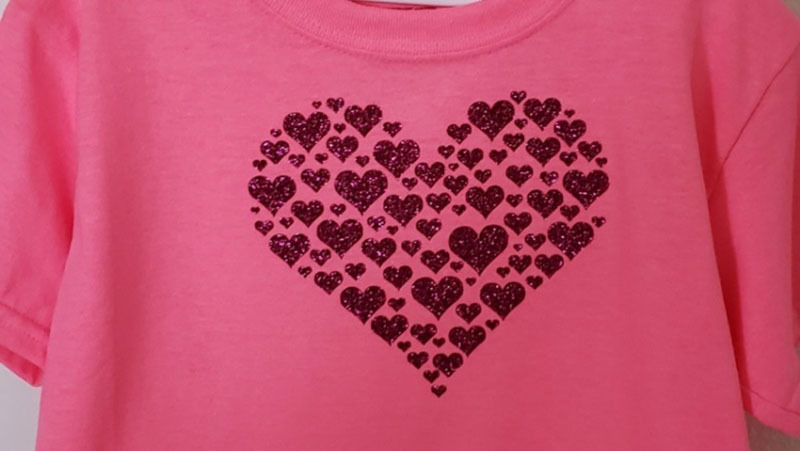 Save on materials and time by choosing to make these shirts for Valentine's. 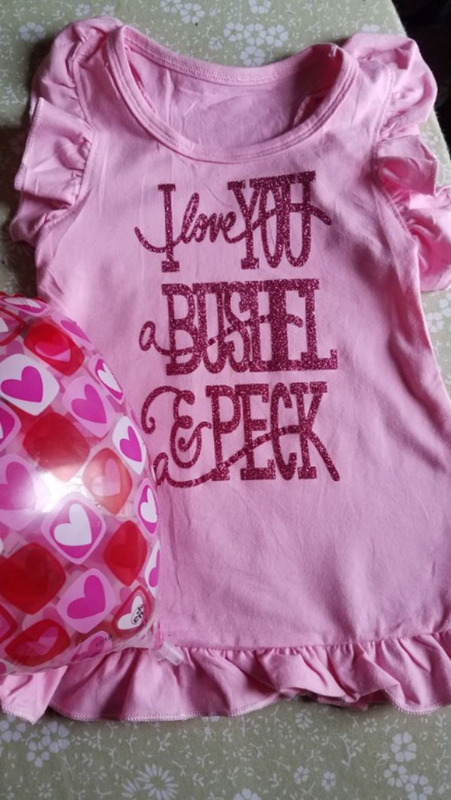 If you'll be pregnant on Valentine's Day, you could make this special shirt by Alyson to celebrate this precious time. I got engaged on February 13th. If I had my Cricut back then, I could have used this version by Nicole to celebrate our first Valentine's Day together.